WE DO NOT INCLUDE PRICING OR INVOICES IN OUR PACKAGING. 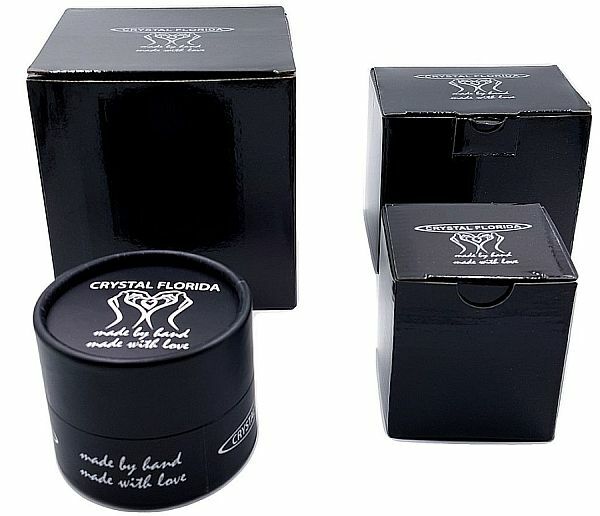 All of our products are packaged in sturdy gift boxes. 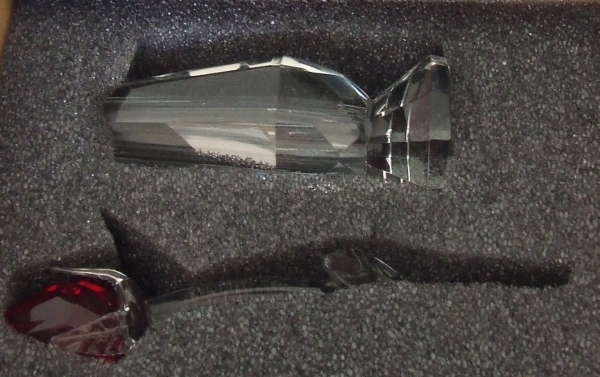 Soft foam is placed inside those boxes either cut out to the shape of crystal item such as the "Red Rose in Vase" above or secured between sheets of convulated foams as shown below. Please see your options and additional cost on product info pages. All Tags are "flawless" stainless steel finish and can also be used as pendants. Available in Black and Red (currently unavailable) these velvet boxes will add more value to your gift only for extra $5.00. These are hard solid boxes dressed with high quality velvet fabric. Interior is a foam cushion dressed with the same velvet fabric. Your selected item will be securely nested at the heart of this soft cushion. Please find them listed under product pages. Only available for our small crystal figurines. Gold or silver giftwraps are available for all our products only for $3.00 regardless of size. Items are secured at the heart of shipping peanut filled boxes, selaed, labeled and handed to carrier's pick-up agent. It is our commitment to back our products until they are safely delivered to you or to your customers.